Last time in this series, I talked about latency and consistency models. I wanted to say more about the last of these, local perception filtering, but ended up running way past the word count I was shooting for. So I decided to split the post and turn that discussion into today’s topic. The game exists within a flat space-time. All objects in the game are point-particles. There is an upper bound on the speed of objects. Many games meet these requirements. For example, in Realm of the Mad God, gameplay takes place in a flat 2D space. Objects like players or projectiles behave as point-masses moving about their center. Interactions only occur when two objects come within a finite distance of each other. And finally, no projectile, player or monster can move arbitrarily fast. The situation is pretty similar for most shooters and MMOs. But not all games fit this mold. As non-examples, consider any game with rigid body dynamics, non-local constraints or instant-hit weapons. While some of the results in this article may generalize to these games, doing so would require a more careful analysis. The basis for space-time consistency is the concept of causal precedence. But to say how this works, we need to recall some concepts from physics. In the same way that a Euclidean is constructed from a normed vector space, space-time is a psuedo-Euclidean space associated to the index-1 vector space and its inner product. We will assume that every event (eg collision, player input, etc.) is associated to a unique point in space-time and when it is unambiguous, we will identify the space-time point of the event with itself. Objects in the game are points and their motions sweep out world lines (or trajectories) in space-time. 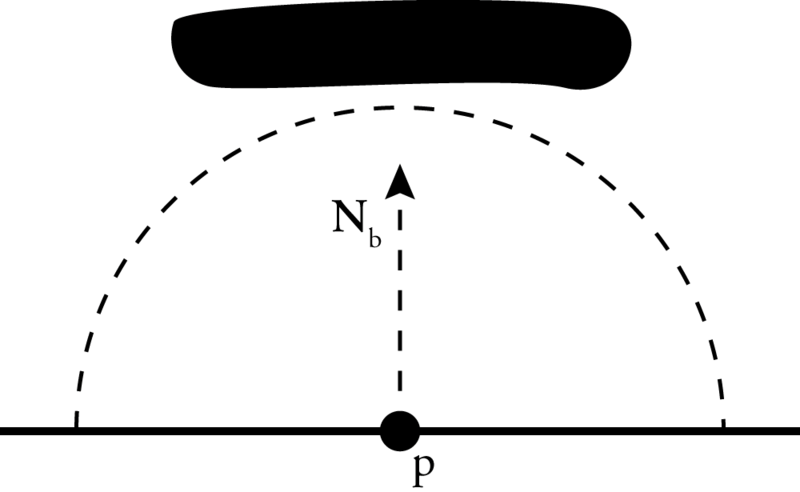 A Minkowski diagram showing the relationship between time-like, space-like and null vectors. Image taken from Roger Horsely‘s lecture notes on classical mechanics. (c) Roger Horsley 2011-2012. With the above physical language, we are now ready to define the space-time consistency as it applies to video games. Given a pair of events, we say that causally precedes (written ) if is future-directed causal or zero. An ordered sequence of events is space-time consistent if for all , . Space-time consistency is a special case of causal consistency. Relativistic causal precedence is stricter than causality consistency, because it does not account for game specific constraints on interactions between objects. For example, a special effect might not influence any game objects, yet in a relativistic sense it causally precedes all events within its future light cone. Still space-time consistency is more flexible than strict temporal consistency, and as we shall see this can be exploited to reduce latency. According to our assumptions about the direction of time, if an event had any causal influence on an event in , then it must be contained in . Conversely, events in can only influence future events in . When the set is a singleton, then is called the future light cone of , and is the past light cone, and the set is the light cone of . Passive entities: Whose trajectory is determined completely by its interactions with other entities. For every active entity, we track an event which is the point in space-time at which it most recently received an input from its remote controller. Let be the set of all these events. We call the causal future the cone of uncertainty. Events outside the cone of uncertainty are causally determined by past observations, since as we stated above . Consequently, these events can be predicted by dead-reckoning. On the other hand, events inside could possibly be affected by the actions of remote players and therefore they cannot be rendered without using some type of optimistic prediction. The cone of uncertainty illustrated. 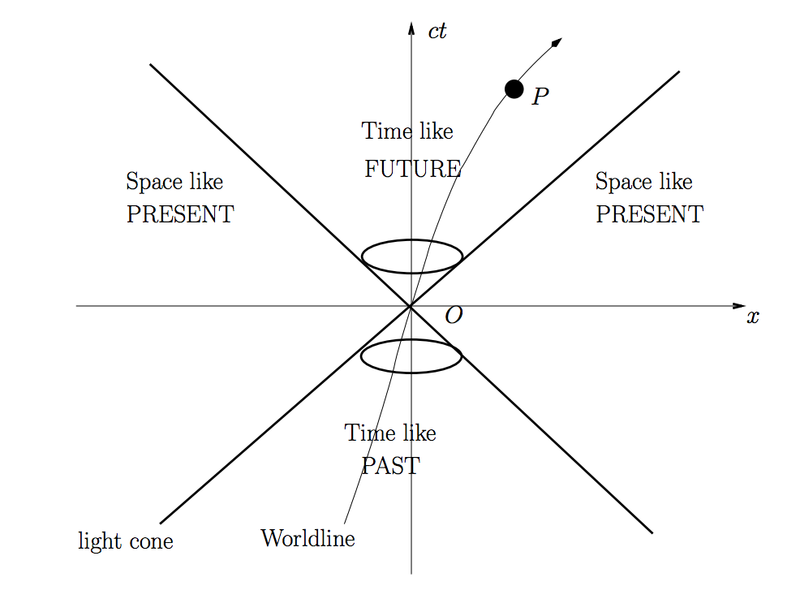 In this Minkowski diagram, the vertical axis represents time. 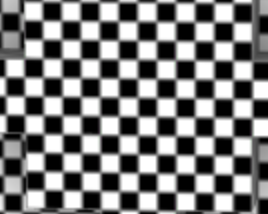 The world lines for each active object are drawn as colored paths. The grey region represents the cone of uncertainty, and is updated as new remote events are processed. A hypersurface is a Cauchy surface if every time-like curve extends to one which intersects exactly once. If is a maximal set with these properties, then is a Cauchy surface. Theorem 1: A function determines a Cauchy surface if and only if the subgradient of is bounded by . Rendering a game amounts to selecting a Cauchy surface and intersecting it with the world lines of all objects on the screen. The spatial coordinates of these intersections are then used to draw objects to the screen. From this perspective one can interpret a consistency model as determining a Cauchy surface. We now apply this insight to the three consistency models which were discussed last time. A visualization of the Cauchy surface for strict consistency. The orange line represents the Cauchy surface viewed by the local (red) player. Note that this is some time behind the most recently acknowledged input. An optimistic Cauchy surface (shown in orange). The surface tracks the local red player closely, giving more responsive inputs. Unfortunately, the optimistic Cauchy surface intersects the cone of uncertainty and so it requires local prediction to extrapolate the position of remote objects. Unlike in the case of the strict consistency, the optimistic causal surface intersects the cone of uncertainty. As a result, it requires prediction to extrapolate the state of remote entities. The Cauchy surface for a local perception filter. Note that this surface closely follows the local player, yet does not intersect the cone of uncertainty. Local perception filters make finer geometric tradeoffs between local responsiveness and visual consistency. They achieve this by using a curved Cauchy surface. This has a number of advantages in terms of improving responsiveness, but introduces time dilation as a side effect. In a game, this time dilation will be perceived as a virtual acceleration applied to remote objects. To explain this concept, we need to make a distinction between local time and coordinate time. Coordinate time, , is the time component of the coordinates of an event in Minkowski space-time. Local time, , is the time that an event is rendered for a local user. Theorem 2: If and , then for any time-like particle the time dilation is strictly positive. The first condition is natural, since we can assume that the Cauchy surface is strictly moving forward in time. Similarly, according to Theorem 1 the second condition is the same as the requirement that determines a Cauchy surface. If these conditions are violated, then it is possible for objects to jitter or even reverse direction. This is directly analogous to the situation in physics, where if an object travels faster than light it can move backwards in time. The easy fix in a game is to just modify the rules to ensure that this does not ever happen. If , then for all , . This is exponential order convergence, and is about as fast as one can hope to achieve. Here phi is a function encoding the Cauchy surface as described above, q is coordinate time parameterized curve representing the world line of the particle, t0 and t1 are upper and lower bounds on the intersection region and n is the number of iterations to perform. Higher values of n will give more accurate results, and depending on the initial choice of t0 and t1, for floating point precision no more than 20 or so iterations should be necessary. While local perception filters give faster response times than strict surfaces, they do not always achieve as low a latency as is possible in optimistic prediction. The reason for this is that we do not allow the local perception filter to cross into the cone of uncertainty. If the local player passes into this region, then they will necessarily experience input lag. And if the local player passes into a sphere of influence they will experience lag which is proportional to their distance to the remote player. The size of these spheres of influence is determined by the ping of each remote player and the speed of light. As a result, players with a higher ping will inflict more lag over a larger region of space. Similarly, increasing the speed of light expands the spheres of influence for all players and can thus cause the local player to experience more input latency. So, the moral of this theorem is that if a game has a lot of close quarters combat or fast moving projectiles, then local perception filters might not be much help. On the other hand, if you can ensure that players are separated by at least distance from each other, then local perception filters completely eliminate input lag. Each of these capabilities requires architectural modifications. These changes are easy to implement if incorporated early in the design process, and so if networking is a priority then it pays to deal with them up front. That article covers the basics pretty well, though it glosses over the somewhat some subtle issues like input handling. In a fixed time step game it is more natural to use polling to handle inputs instead of asynchronous interrupts (ie events). In an environment like the DOM which defaults to the latter, it is necessary to enqueue events and process them within the main loop. In some applications, like virtual reality, it may be important to respond to certain user inputs immediately. For example, the current position of the user’s head must be taken into account before rendering the latest frame or else the player will experience motion sickness. In this situation it is important that these inputs have a limited effect on the state of the game, or that their effects on the state can processed at a lower latency. Deterministic updates also simplify testing a game, since it is possible to record and play back a sequence of events exactly. The cost though is that all system state including the value of each random number generator must be passed as input to the update function. While the DSST transformation is automatic, in practice it requires a certain amount of human finesse to apply correctly. One of the main sticking points is that bounded in-degree rules out certain classes of objects like iterators. Still, it is a useful idea and understanding it gives the basic tools necessary to implement persistent data structures. Finally, I will conclude this section by observing that we can get all of the above features automatically if we use functional programming. For example, “deterministic” in the sense we are using it is just another word for functional purity. Similarly, data structure persistence is a weaker requirement than total immutability. Thus it stands to reason that if we took the more aggressive position and functionalized everything that we would get all the above features completely by accident. While I’m not sure how practical it is to write a game this way, it seems plausible that if functional programming becomes more popular, then local perception filters may see wider use within the game programming community. 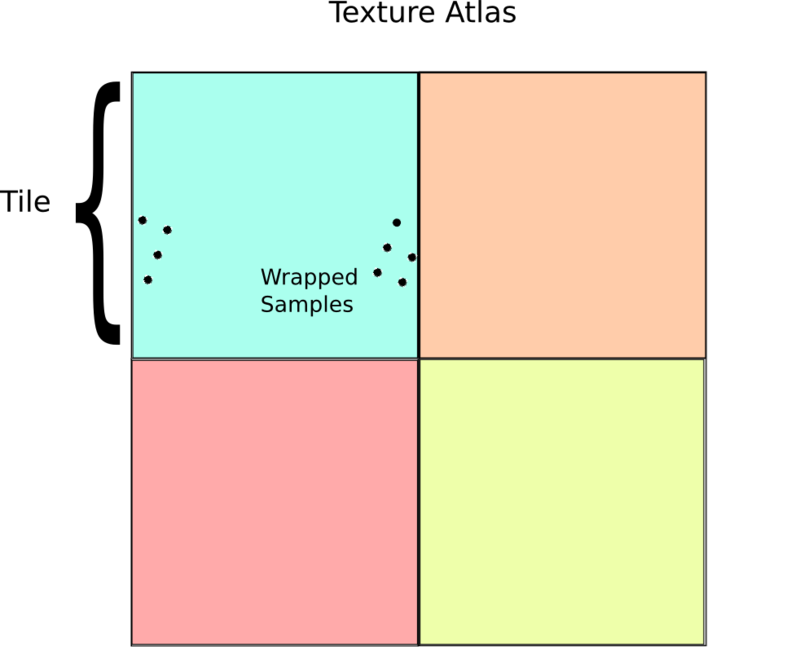 One thing which I did not cover in detail was how to choose the Cauchy surface for the local perception filter in the first place. The main reason I didn’t bring this up was that the word count on this post had already spiraled out of control, and so I had to cut some material just to get it finished. I may revisit this topic in a later post and compare some different options. Where is the time of the local player. Some other options would be to use a smoother surface or some offset of the true horizon. At any rate, this surface seems to give acceptable results but I fully expect that it could be improved drastically with more careful consideration. This post elaborates on the ideas sketched out by Sharkey and Ryan. In particular, we handle the problem of intersecting world lines with the Cauchy surface in general and give precise conditions on the geometry of the Cauchy surface for it to be jitter free. I think that this is the first time that anyone has proposed using a binary search to find the coordinate time for each world line intersection, though it is kind of an obvious idea in hindsight so I would not be surprised if it is already known. Additionally the precise interpretation of special relativity as applied to video games in this post is new, though the conceptual origin is again in Sharkey and Ryan’s paper. In closing, local perception filters are a promising approach to latency hiding in networked games. Though they cannot eliminate lag in all cases, in games where most interactions are mediated by projectiles they can drastically reduce it. Understanding space-time consistency and local perception filtering is also helpful in general, and gives insight into the problems in networked games. In the next post I want to move past latency and analyze the problem of bandwidth. It will probably be less mathematical than this post. How do we get rid of lag? At first, eliminating lag may seem impossible since there is no way for a client to know what some remote player did until their input has completed a round trip over the network. Underlying this is the requirement that all events occur sequentially within a single shared frame of reference. An implausible ordering of events: a player walks through a door and then opens it. How do we know if a sequence of events is consistent? Though this question may sound trivial, in reality it is at the heart of building a concurrent distributed system. In fact, there are multiple answers and the key to eliminating lag lies in subtle details of how one chooses to define consistency. 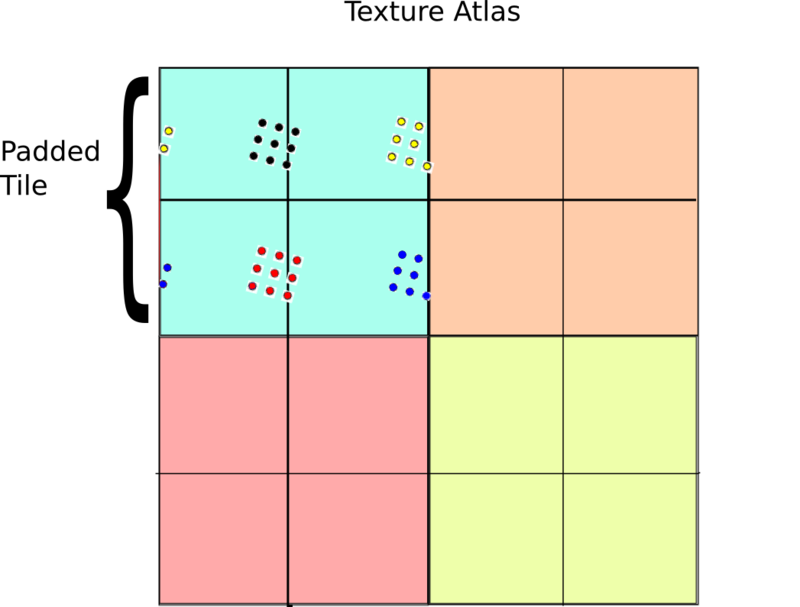 A consistency model determines the visibility and apparent ordering of events in a distributed system. Defining a useful consistency model requires a delicate balance between parallelism and interaction. Consistency requirements can be informed by game design and vice versa. For example, certain features like instant hit weapons or rigid body constraints may be harder to implement in some consistency models than others. While many consistency models have been invented by distributed systems engineers, in the context of games the two most popular are strict consistency and optimistic consistency (aka client-side prediction). These two methods represent the extremes of the tradeoff space, with the first giving perfect global synchronization for all players and the latter giving the minimum possible latency. What is less well-known (and also what I want to focus on in the next article) are the large and widely underutilized collection of ideas that live somewhere in the middle. Strict consistency requires that all clients see all events in the same order. It is both the most constrained consistency model and also the easiest to understand. Unfortunately, it also causes lag. This consequence is closely related to the famous CAP theorem, where we recall that the C in CAP stands for Consistency in the strong sense (and more specifically linearizability). If we want to beat lag, then this has to be relaxed. Red player’s perspective: The red player shoots at the blue player and sees the shot hit before the blue player can get to cover. In optimistic consistency, there is no systematically prescribed way to determine which sequence of events is correct. It is up to the programmer to add extra logic to handle all the possibilities on a case-by-case basis. In effect, this is equivalent to defining a weak consistency model implicitly. But because optimistic consistency does not start from any principled assumptions, teasing out an acceptable conflict resolution scheme is more art than science. External factors like game balance greatly inform what sort of actions should have priority in a given scenario. The red player walks through a maze with no lag. Directly applying corrections to the state causes visible discontinuities in the motion of remote objects. Here the blue player observes the red players motion delayed by 4 frames. The remote player’s path is smoothed using a damping ratio of 2.5 to remove discontinuities. The blue player observes the red player with a lag of 8 frames using the same damping ratio. Larger deviations in the red player’s trajectory are noticeable. First, there is the core game logic which describes how events translate to state updates. Second, there is the conflict resolution code which determines how remote updates are handled. Finally there is the interpolation logic, which must seamlessly hide state corrections from the player. Each of these systems interact with one another and changes in one must be propagated to the others. This increased coupling slows down testing and makes modifications to the game logic harder. Red sees the bullet slow down as it approaches blue before speeding up as it passes. An important property of local perception filters is that they preserve causality, assuming that all interactions are local and that no object travels faster than some fixed velocity . As a result, they technically satisfy the requirements of causal consistency. This means that there is no need to implement any special correction or client-side prediction models: local perception filters just work. Also, unlike prediction based consistency, local perception filters make it easy to implement some fun special effects in multiplayer games. Some interesting examples include Matrix-style bullet time and Prince of Persia’s instant rewind. Of course it is questionable how practical/fair these effects would be since they necessarily inflict a substantial amount of lag on all player besides the one using rewind/bullet time. In this article we surveyed three different techniques for dealing with latency in networked games, though our review was by no means exhaustive. Also some of these methods are not mutually exclusive. For example, it is possible to combine optimistic replication with local perception filters to offset some of the drawbacks of a purely optimistic approach. In the end though, selecting a consistency model is about making the right trade-offs. In some situations, maybe the strict input latency demands justify the complexity of and glitches that come with optimistic replication. In other situations where most interactions are long range, perhaps local perception filters are more appropriate. And for slower paced games where latency is not a great concern strict consistency may be sufficient and also easier to implement. In the next article, we will talk more about space/time consistency. I’ll also present a more rigorous formalization of local perception filters as a consistency model and prove a few theorems about networking for games. Finally, I’ll write about how to implement local perception filters in a video game. It has been a while since I’ve written a post, mostly because I had to work on my thesis proposal for the last few months. Now that is done and I have a bit of breathing room I can write about one of the problems that has been bouncing around in my head for awhile, which is how to implement browser based networked multiplayer games. Still, despite the fact that all of the big pieces of infrastructure are finally in place, there aren’t yet a lot of success stories in the multiplayer HTML 5 space. Part of the problem is that having all the raw pieces isn’t quite enough by itself, and there is still a lot of low level engineering work necessary to make them all fit together easily. But even more broadly, networked games are very difficult to implement and there are not many popular articles or tools to help with this process of creating them. My goal in writing this series of posts is to help correct this situation. Eventually, I will go into more detail relating to client-server game replication but first I want to try to define the scope of the problem and survey some general approaches. Creating a networked multiplayer game is a much harder task than writing a single player or a hot-seat multiplayer game. In essence, multiplayer networked games are distributed systems, and almost everything about distributed computing is more difficult and painful than working in a single computer (though maybe it doesn’t have to be). Deployment, administration, debugging, and testing are all substantially complicated when done across a network, making the basic workflow more complex and laborious. There are also conceptually new sorts of problems which are unique to distributed systems, like security and replication, which one never encounters in the single computer world. One thing which I deliberately want to avoid discussing in this post is the choice of networking library. It seems that many posts on game networking become mired in details like hole punching, choosing between TCP vs UDP, etc. On the one hand these issues are crucially important, in the same way that the programming language you choose affects your productivity and the performance of your code. But on the other hand, the nature of these abstractions is that they only shift the constants involved without changing the underlying problem. For example, selecting UDP over TCP at best gives a constant factor improvement in latency (assuming constant network parameters). In a similar vein, the C programming language gives better realtime performance than a garbage collected language at the expense of forcing the programmer to explicitly free all used memory. However whether one chooses to work in C or Java or use UDP instead of TCP, the problems that need to be solved are essentially the same. So to avoid getting bogged down we won’t worry about the particulars of the communication layer, leaving that choice up to the reader. Instead, we will model the performance of our communication channels abstractly in terms of bandwidth, latency and the network topology of the collective system. Preventing exploits is generally as “simple” as not writing any bugs. Beyond generally applying good software development practices, there is really no way to completely rule them out. While exploits tend to be fairly rare, they can have devastating consequences in persistent online games. So it is often critical to support good development practices with monitoring systems allowing human administrators to identify and stop exploits before they can cause major damage. Information leakage on the other hand is a more difficult problem to solve. The impact of information leakage largely depends on the nature of the game and the type of data which is being leaked. In many cases, exposing positions of occluded objects may not matter a whole lot. On the other hand, in a real time strategy game revealing the positions and types of hidden units could jeopardize the fairness of the game. In general, the main strategy for dealing with information leakage is to minimize the amount of state which is replicated to each client. This is nice as a goal, since it has the added benefit of improving performance (as we shall discuss later), but it may not always be practical. Finally, preventing automation is the hardest security problem of all. For totally automated systems, one can use techniques like CAPTCHAs or human administration to try to discover which players are actually robots. However players which use partial automation/augmentation (like aimbots) remain extremely difficult to detect. In this situation, the only real technological option is to force users to install anti-cheating measures like DRM/spyware and audit the state of their computer for cheat programs. Unfortunately, these measures are highly intrusive and unpopular amongst users, and because they ultimately must be run on the user’s machine they are vulnerable to tampering and thus have dubious effectiveness. Now that we’ve established a boundary by defining what this series is not about it, we can move on to saying what it is actually about: namely replication. The goal of replication is to ensure that all of the players in the game have a consistent model of the game state. Replication is the absolute minimum problem which all networked games have to solve in order to be functional, and all other problems in networked games ultimately follow from it. The problem of replication was first studied in the distributed computing literature as a means to increase the fault tolerance of a system and improve its performance. In this sense video games are a rather atypical distributed system wherein replication is a necessary end unto itself rather than being just a means unto an end. Because it has priority and because the terminology in the video game literature is wildly inconsistent, I will try to follow the naming conventions from distributed computing when possible. Where there are multiple or alternate names for some concept I will do my best to try and point them out, but I can not guarantee that I have found all the different vocabulary for these concepts. Passive replication: Inputs from the players (clients) are sent to a single machine (the server) and state updates are broadcast to all players. (also called primary backup, master-slave replication, and client-server). There are also a few intermediate types of replication like semi-active and semi-passive replication, though we won’t discuss them until later. That paper, like many of Lamport’s writings is considered a classic in computer science and is worth reading carefully. The concept presented in the document is more general, and considers arbitrary events which are communicated across a network. While in principle there is nothing stopping video games from adopting this more general approach, in practice active replication is usually implemented by just broadcasting player inputs. While active replication is clearly a workable solution, it isn’t easy to get right. One of the main drawbacks of active replication is that it is very fragile. This means that all players must be initialized with an identical copy of the state and maintain a complete representation of it at all times (which causes massive information leakage). State updates and events in an actively synchronized system must be perfectly deterministic and implemented identically on all clients. Even the smallest differences in state updates are amplified resulting in catastrophic desynchronization bugs which render the system unplayable. Desynchronization bugs are often very subtle. For example, different architectures and compilers may use different floating point rounding strategies resulting in divergent calculations for position updates. Other common problems include incorrectly initialized data and differences in algorithms like random number generation. Recovering from desynchronization is difficult. A common strategy is to simply end the game if the players desynchronize. Another solution would be to employ some distributed consensus algorithm, like PAXOS or RAFT, though this could increase the overall latency. Unlike active replication which tries to maintain concurrent simulations on all machines in the network, in passive replication there is a single machine (the server) which is responsible for the entire state. Players send their inputs directly to the server, which processes them and sends out updates to all of the connected players. The main advantage of using passive replication is that it is robust to desynchronization and that it is also possible to implement stronger anti-cheating measures. The cost though is that an enormous burden is placed upon the server. In a naive implementation, this server could be a single point of failure which jeopardizes the stability of the system. Today, it is fair to say that the client-server model has come to dominate in online gaming at all scales, including competitive real-time strategy games like Starcraft 2, fast paced first person shooters like Unreal Tournament and even massively multiplayer games like World of Warcraft. To compare the performance of active versus passive replication, we now analyze their performance on various network topologies. Let be the total number of players, be the edges of a connected graph on vertices. To every edge we assign a weight which is the latency of the edge in seconds. In the network we assume that players only communicate with those whom are adjacent in . We also assume that players generate data at a rate of bits/second and that the size of the game state is . Given these, we will now calculate the latency and bandwidth requirements of both active and passive replication under the optimal network topology with respect to minimizing latency. In the case of active replication, the latency is proportional to the diameter of the network. This is minimized in the case where the graph is a complete graph (peer-to-peer) giving total latency of . The bandwidth required by active replication over a peer-to-peer network is per client, since each client must broadcast to every other client, or total. To analyze the performance of passive replication, let us designate player 0 as the server. Then the latency of the network is at most twice the round trip time from the slowest player to the server. This is latency is minimized by a star topology with the server at the hub, giving a latency of . The total bandwidth consumed is per client and for the server. Since each player must be represented in the state, we can conclude that and if we make the additional reasonable assumption that is constant, then the total bandwidth costs are identical. However, if is significantly larger than , then we could conclude that peer-to-peer replication is overall more efficient. However, in practice this is not quite true for several reasons. First, in passive replication it is not necessary to replicate the entire state each tick, which results in a lower total bandwidth cost. And second, it is possible for clients to eagerly process inputs locally thus lowering the perceived latency. When applied correctly, these optimizations combined with the fact that it is easier to secure a client-server network against cheating means that it is in practice a preferred option to peer-to-peer networking. In the next few articles, we will discuss client-server replication for games in more detail and explain how some of these bandwidth and latency optimizations work. Smooth lighting in Minecraft. (c) Mojang AB. 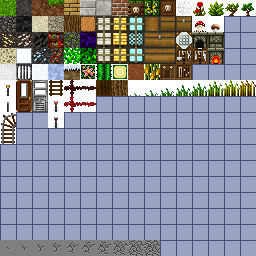 Image obtained from Minecraft wiki. Ambient occlusion was originally introduced into Minecraft as a mod, and eventually incorporated into the core Minecraft engine along with a host of other lighting improvements under the general name of “smooth lighting”. To those who are in-the-know on voxel engine development, this stuff is all pretty standard, but I haven’t yet seen it written up in an accessible format yet. So I decided to write a quick blog post on it, as well as discuss a few of the small technical issues that come up when you implement it within a system that uses greedy meshing. Dynamic algorithms: Which try to compute accessibility from changing or dynamic data. P. Shanmugam, O. Arikan. 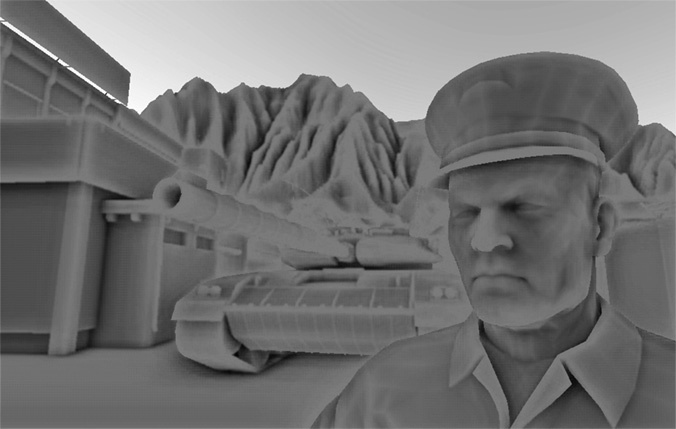 “Hardware accelerated ambient occlusion techniques on GPUs“. SIGGRAPH 2007. Screen space ambient occlusion for a typical game. Public domain. Credit: Vlad3D. Screen space ambient occlusion is nice in that it is really easy to integrate into an existing rendering pipeline — especially with deferred shading — (it is just a post process!) but the downside is that because the depth buffer is not a true model of the scene geometry it can introduce many weird artefacts. This link has a brief (humorous/NSFW) survey of these flaws. 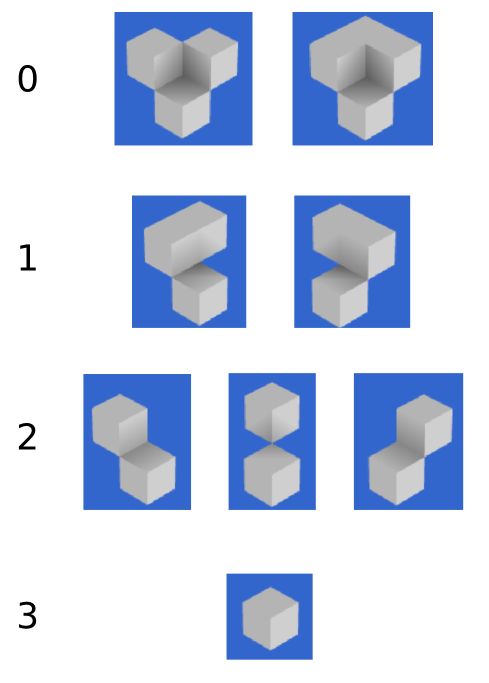 The four different cases for voxel ambient occlusion for a single vertex. It is actually quite easy to integrate the above ambient occlusion algorithm into a system that uses greedy meshing. The key idea is that we just need to merge facets which have the same ambient occlusion value across each of their vertices. This works because along each of the greedy edges that have length greater than 1 voxel the ambient occlusion values of the greedy mesh will be constant (exercise for reader: prove this). So, there is almost nothing to do here except modify the code that checks if two voxels should be merged. Errors in ambient occlusion shading due to anisotropy. 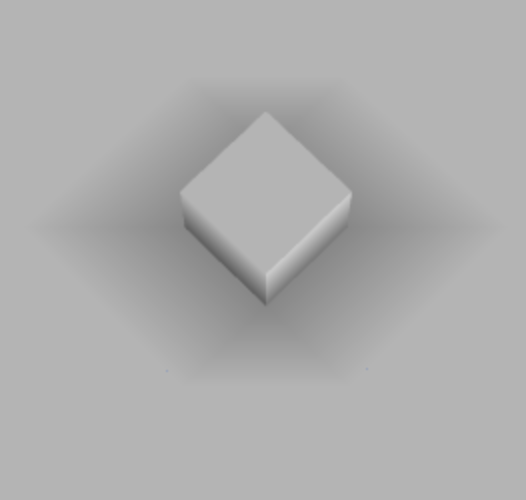 Correctly shaded ambient occlusion. 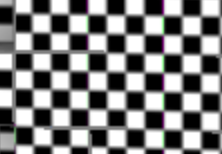 Note that all four vertices are rendered the same. Adding ambient occlusion to a voxel game is super easy to do and carries little cost besides a modest increase in mesh construction time. It also improves the visual quality of the results enormously, and so it is one of those no-brainer features to add. There are plenty of places to go further with this. 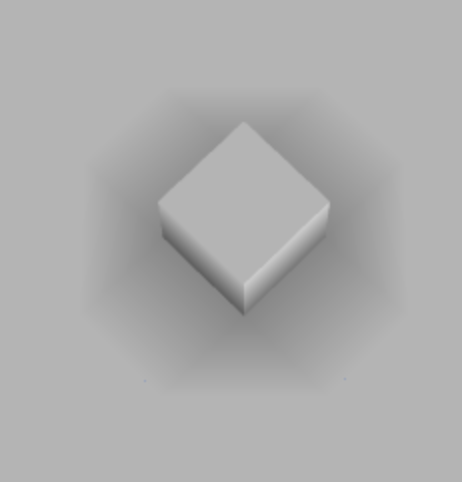 For example, you could take the ambient occlusion of the complement space to create translucency effects in a voxel game (kind of like this idea). You would also probably want to combine this technique with other more sophisticated lighting methods to handle things like shadows and possibly reflections, but this maybe a better topic for another post. EDIT 1: Embarrassingly I had the initial definition for ambient occlusion wrong. I fixed this. 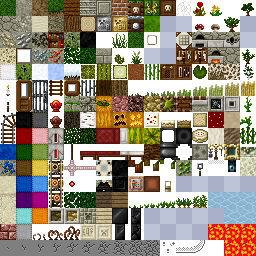 This post caught my eye – I was the guy that wrote the original Ambient Occlusion mod for Minecraft. Minecraft’s original lighting system (I think!) had air blocks with discrete lighting levels from 0 to 15 and any block face exposed to one took its lighting level from that. You sum it up how the first working version of my algorithm worked pretty well! That first version still had the “blocky” look because the underlying faces were still taking their light level from the air block touching them, but at least the AO effect softened it a bit where you had geometry nearby. edit Here’s the very first pic of it working on my test map and you can see what I mean about the “blocky light with AO” thing. I should say that the lighting system currently in Minecraft was written by Jeb, he did contact me to see about using mine and I said “sure” and offered to give him my code but I think he reimplemented his own variant of it in the mean time. Don’t know if I was the first person to come up with either algorithm, but it was fun working out how to do it.